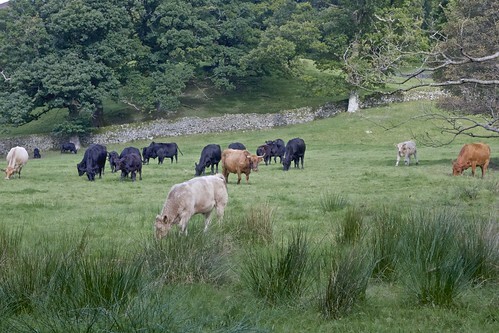 The Great Langdale valley is some 12,170 acres, much of it in the care of the National Trust, who have ten farms here. The valley stretches from Ambleside through Clappersgate, Skelwith bridge, Elterwater, Chapel Stile, to the National Trust owned Dungeon Ghyll Hotel, and the glaciated valley of Mickleden. The surrounding fells include Pike O’Blisco, Crinkle Crags, Rossett Pike, and the Langdale Pikes – Pike O’Stickle, Harrison Stickle and Pavey Ark.